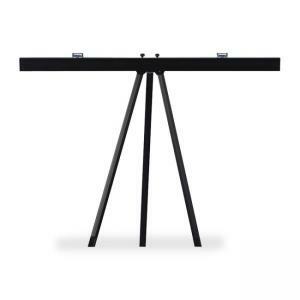 Pad retainer is designed for use with Quartet Telescoping Aluminum Tripod Easels. Attach at top of easel to hold pads, flip-charts and stabilize presentation graphics. Pad retainer folds for compact storage.